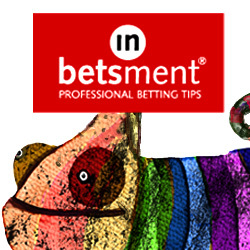 Welcome to our betting system reviews and tips blog. See the latest posts below and be sure to sign up for betting tips email updates. We are two months into our trial of Quentin Franks Racing so thought it would be a good time for a results update. We are two months into our review of Elliott’s Sports Analysis from renowned tipster Keith Elliott. The service focuses mainly on golf, which is where Keith has built his reputation as a formidable tipster over the years, also publishing a number of books on golf betting. Could Nadal’s Reign In Paris Finally End? Is it too early to bet on the next Man City Manager? The bookies have already opened up betting on who will be the next Man City manager, expecting as a matter of course that Manuel Pellegrini would be sacked at the end of the season following City’s failure to capture silverware this season. We are just over two months into our review of Big Race Bookie Busters and it has been a very good performance so far. They are 130 points in profit at advised prices and 94 points in profit at Betfair SP, very much keeping up their form coming into the trial. It’s just over two months into our review of Master Racing Tipster so time for an update. I am pleased to report that this service is doing well – it is just under 70 points in profit at advised prices and over 40 points profit at Betfair SP. We are just about two months into our Value Football Betting review and thought it would be a good time for an update.